Calling all folks with a unique thirst for life and a taste for the smooth, sophisticated charm of scotch, this month of February is the perfect time to raise a glass and fall in love with scotch – whether for the first time, or all over again. At the center of the grand global #LoveScotch Festival is International Scotch Day on February 10, a day when glasses will be raised all over the globe to celebrate the world’s favorite whisky. Born in Scotland and brought into the world over many generations, scotch’s inimitable style is undisputedly the perfect reason to hit the town. 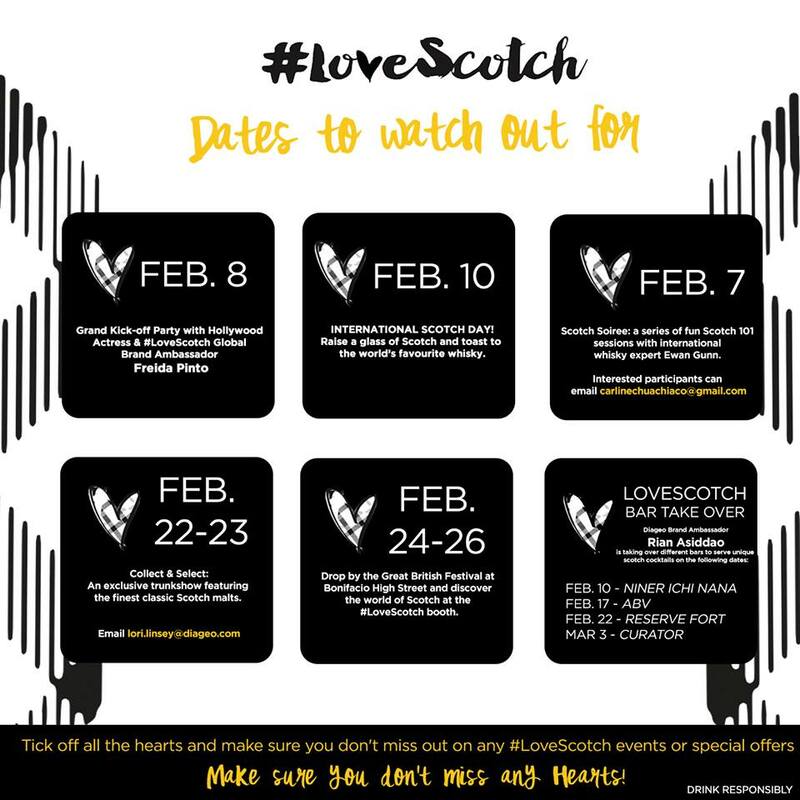 Here are the what’s, when’s, and how-to’s for the hottest #LoveScotch Festival events in and around the metro! Gone are the days when scotch was tucked away in the cabinet, only to be brought out for celebrations or serious occasions; in this day and age, scotch is easily enjoyed anywhere, at any time, however one likes it! Whether neat, on the rocks, with a mixer, or in a cocktail – scotch is the effortlessly cool way to go. Out with the old and in with the new – it’s time to break old notions. Scotch is a man’s drink? A lot of ladies are drinking Scotch. It’s blasphemy to mix scotch? Nonsense – it’s all about individual style & preference. Everyone’s got something to say, but if there’s one rule about enjoying the world’s favorite whisky – it’s that scotch has no rules. 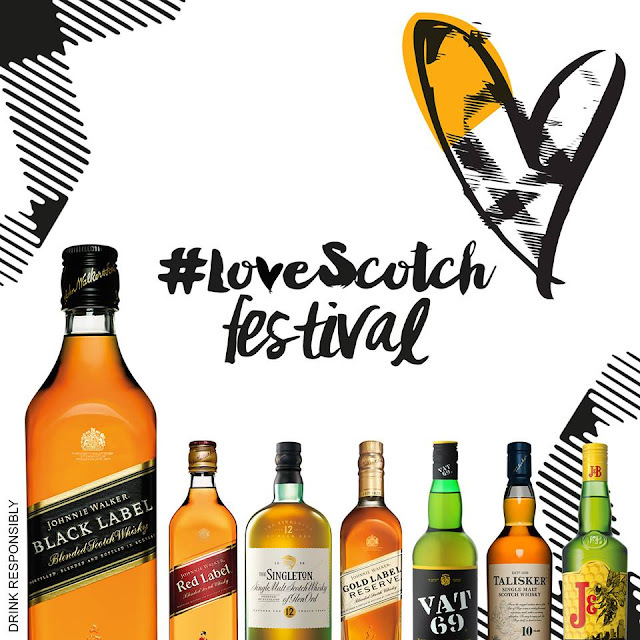 The #LoveScotch Festival kicks off in Manila on February 8, with Hollywood Actress & #LoveScotch Global Partner Freida Pinto. Keep a lookout on our social media sites for details – you might just score exclusive invites to the most glamorous event in town! Next, we raise a toast to a master blender from generations past. If you’re wondering how the world’s favorite whisky was brought into the world, it’s Alexander Walker you want to thank. Raise a glass with us on February 10 to celebrate International Scotch Day! On February 24-26, head on over to the Great British Festival to learn all about scotch – there’s information to share and drinks to be tried. Whether you’re already a certified scotch aficionado or someone new to the game, one thing’s for sure - you’ll be walking away from these events with a newfound appreciation for the world’s favorite whisky. Itching to satisfy your thirst for the weekend? Be there for the bar take over! On all Fridays of February, top Philippine bartender and Diageo Brand Ambassador Rian Asiddao will be hitting various bars to deliver one-of-a-kind scotch cocktails! February 10 – Niner Ichi Nana; February 17 – ABV; February 22 – Reserve Fort; March 3 – Curator. If there’s one thing everyone loves (right after a glass of scotch, of course! ), it’s feeling special! Other offers in line with the #LoveScotch global movement include special celebration packages, complimentary food and drinks, and limited edition products – whatever your favorite scotch label, there are special offers and freebies for everyone to enjoy! Whatever your status with scotch, however you prefer your drink, there’s no doubt you’ll be joining millions of others in a global love affair with the world’s favorite whisky this February. 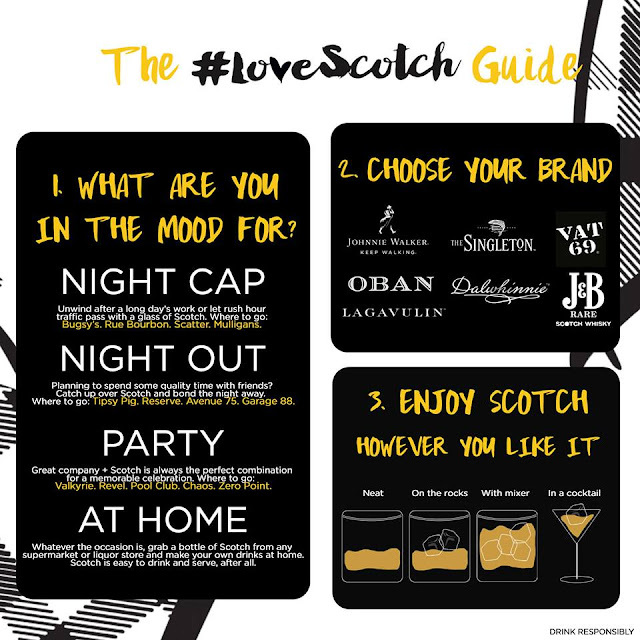 Just stick to the guide and you’ll be sure to tick off all the hearts this #LoveScotch month! Choose your scotch and make it a date – with your friends, your family, or with yourself. After all, it’s not just about what you’re drinking, but whom you’re drinking with! 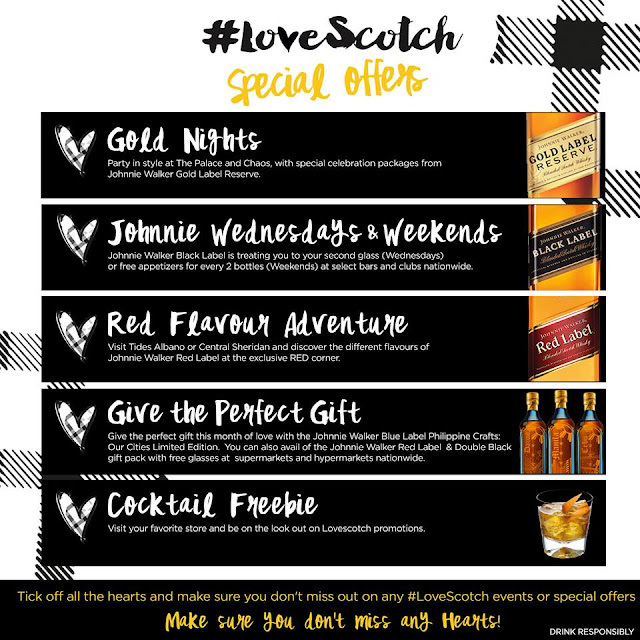 Check out the JohnnieWalkerPH page on Facebook to know more about the different #LoveScotch events and special offers happening around the metro.